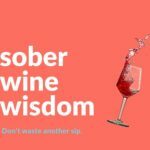 You might have caught my first chat with Intrepid Wino James Scarcebrook about wine retail (if not see here https://thewinedepository.com.au/twd-on-the-vincast/). We had a great time recording it and so James invited me back for a second chat. This time we talked about something that most people do, but very few do well. That is wine touring. Learn all the ins and outs on how to get the most out of your wine touring experience and hopefully be inspired to visit a wine region, local or otherwise, and taste some great wine. Just do not attempt six wineries in one day. Sorry James but that is crazy haha! And while you are there bookmark the page and visit it regularly to hear some of the other episodes.